I’ve had it in my mind (I think from my mom) that it’s a bad idea to spend too much time on sedentary hobbies, like knitting and reading, which I really enjoy, since I should be more active to stay healthy and happy. For instance, couldn’t it be better for my weight loss to spend what little time I have exercising instead of reading? But, at least knitting keeps my hands busy, so that I can’t eat mindlessly, unlike when I’m reading or watching TV. Maybe I should start knitting again. I want to knit my youngest a striped ear-flap hat for next winter. I got a pattern on Etsy, and finally bought some yarn for it, but I haven’t started it yet. Maybe I’ll try to knit on my commute. There’s a woman at my Weight Watchers meeting who knits during the meetings. Do you have any strong opinions on sedentary versus active hobbies and activities? I’ve been reading about emotional eating in this book, but still do it anyway. I notice myself craving the numb, mindless feeling I get when scarfing three Quaker Chewy Chocolate Chip bars, or two Yolatos, or half of my daughter’s birthday cake. Why can’t I have just one thing/bite/piece? I get so disgusted with myself, but I realize that I really don’t like some things about my life right now. Feeling like I don’t have time to exercise because of the constant chores, work, pumping, and breastfeeding. Feeling like my husband and brother are just as overwhelmed as I am. I think that’s why I crave the happy, numb feeling I get from binging. I think I’ll have to find a way to make myself feel happier at home (or at least distract myself from high PPV foods and have 0 point options instead! ), otherwise I’ll just keep binging like this and make myself more unhappy. Today at my weigh in I was up 2 pounds. At least it took me a few days to go through my 49 extra points instead of just one day like the week before. I went to Century 21 afterwards to get my husband a replacement shoulder bag/briefcase and saw two handbags that just screamed “buy me!” But instead of getting one, or both, I’m using them as motivation, since my goal of getting back into my 135 lb clothes doesn’t seem to be motivation enough. I saw a pool blue version of this one from Foley+Corinna and this one from Gryson. I love getting bags discounted at Century, even if they are from past seasons. As a reward, I’ll get one if I lose 5% and the other when I lose 10%, which will also bring me to my goal weight. I find myself getting a little more materialistic as I’m getting older…I wonder why that is. But, maybe it will motivate me more than just “being healthy” and “being a good role model” will. What do you do when you’re unhappy but unmotivated? Had a rough beginning to the week–our 13-year-old dog died. But she was a great dog and lived a good life. After a month of plateaus or slight gains I was actually down 1.4 at my meeting this week! Yay! I’ve been trying to do better at prepping vegetables for dinner the night before. My brother helps out by cooking, and I think he appreciates having the veggies prepped and labeled. Since we belong to a CSA, we get lots of veggies each week and my husband and brother aren’t always sure what they are. In 2012 we tried using the Fresh 20. The meal plans help you save money and plan meals using mostly fresh ingredients. I liked it but found it didn’t really work out when we get our CSA veggies or when I had a newborn at home. I’m still struggling with finding the time to prep and cook while working and mothering two kids under 5 (my daughter turns 4 on Sunday!). Part of the problem I’ve had with commercial weight loss programs over the years is their emphasis on substituting “light” versions of products to reduce their points or calories. These products aren’t natural and there was a time when I didn’t want to put anything artificial in my body. Although both Weight Watchers and Jenny Craig do recommend many naturally light and filling foods, such as broth-based soups, whole grains, and fresh fruits and vegetables, they also sell and recommend a large number of processed foods. Filling technique and just eating Power Foods for a day or a week. I still haven’t given that a try because I crave snack foods so much right now, and I feel like my family won’t like meals cooked only with Power Foods. What do you all think about artificial versus natural foods and losing weight? 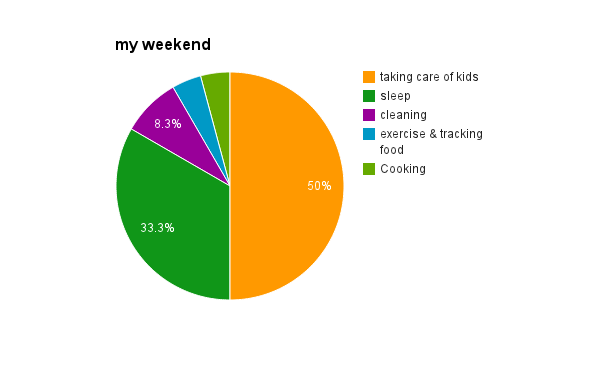 What can I spend less time on so that I have more time to cook, exercise, and track? I’d also like to knit my youngest a hat for next winter. I guess I can try to be more active with my kids or on my lunch break? I’ve been trying to ride Citibike but sometimes there aren’t any bikes left at Penn Station when I get there in the morning. We’ve been playing some Just Dance 2 on the Wii which I really enjoy, and so does my oldest. I think I need to ask my husband for more help watching the girls by himself on the weekends so that I can cook and exercise more. I wish there was more time in the day to do everything I want to do to be healthy and not so frazzled and tired. I have to constantly remind myself why I want to lose weight, because I completely forget when I’m in a pre-binge state. Not have my thighs rub together so much when I wear skirts or dresses! I was reminded of this yesterday…ouch. I’ve noticed that some of these reasons sound more healthy and some sound a bit narcissistic, but I think I’ll feel a whole lot better about myself if I do get back to a healthy weight. At my Weight Watchers meetings a few weeks ago we talked about having an “anchor”. Something you could hold, think about, say, or remember to remind you of what you are striving for. I still haven’t been able to choose one…what’s your anchor? I feel like I have so many eating issues. I have to decrease my daily points now that I’m not nursing my daughter as much, but I crave snack foods so much. It makes my mind feel better to binge, but then I feel out of control and guilty afterwards, but stuffing my face makes me momentarily feel “high”. How do I prevent these binges from happening? I guess one idea would be to get satisfaction from something not food-related. I really want to be able to get back into my 2012 clothes. It’s finally getting warm in NYC and I just swapped out my winter and summer clothes. I was hoping I would be back into my smaller sizes by now, since I started back at Weight Watchers in December, but at this rate, I won’t be able to fit into them until the fall, when it will be too cold. 😦 I was also hoping that we could do another family photoshoot, but I want to be at or close to goal before spending the money on that. I’m just so disappointed that a few weeks after my 2nd baby was born I was only 7 pounds away from goal, but I “ruined it” by binging during her newborn period, and now I have 17 pounds to get to goal. I was looking at these two blogs to get more ideas about cravings and binging: Before you Binge Printable from doesthisblogmakeuslookfat.com? Is food an addiction from canyoustayfordinner.com. Then I checked out the Mayo Clinic’s definition of binge eating disorder. It sounds like I do have the disorder. I’m trying to remember my mindset in 2012 when I wasn’t binging, but I can’t really remember what I did to prevent it… I looked up binging on the WW website, too. There’s a Binge Enders Group on the Community Boards and one member listed these helpful books: 1.) “Brain Over Binge” by Kathryn Hansen ~~~ http://www.brainoverbinge.blogspot.com 2.) 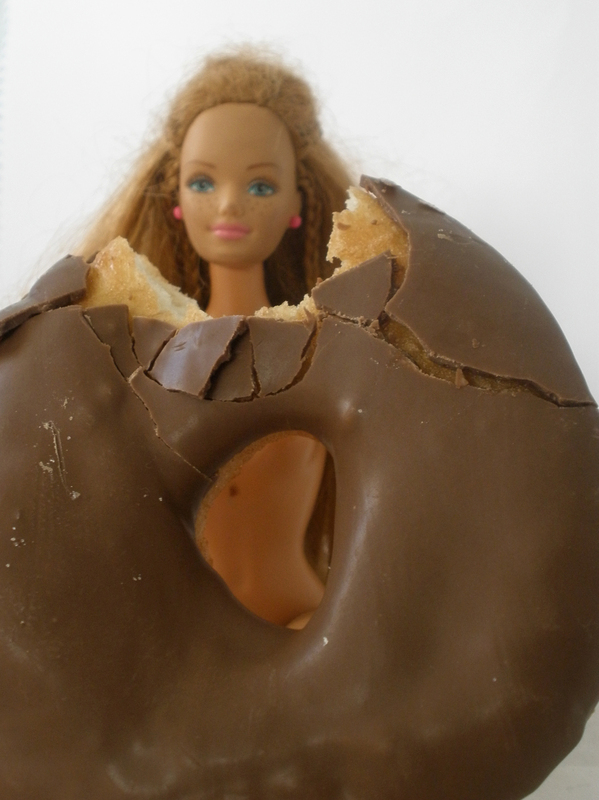 “Overcoming Binge Eating” by Dr. Christopher Fairborn 3.) “Food: The Good Girls Drug” by Sunny Seas Gold 4.) “The Beck Diet Solution” by Judith Beck 5.) “Life Without Ed” by Jenni Schaefer 6.) Various books by Geneen Roth 7.) “Midlife Eating Disorders” by Cynthia Bulick Any other thoughts or advice? Anybody else struggling? Maybe I’ll start with checking out these books on Amazon. I’m starting this blog to help me stay motivated to live healthfully and mindfully. I’m trying to get back to a healthy weight after gaining back the weight that I lost between having my two children. I work outside the home, and so life is pretty hectic. I welcome any tips or comments to help me stay motivated and not mindlessly eat to meet some need other than hunger or appreciation of food. I’ve dealt with emotional eating since I was 10 years old. Here is my weight history: In high school I think I weighed around 120-125 pounds. I’m 5’2″, so that was toward the heavier side for someone in their teens. I was a dancer and so I was always self-conscious and wished that I could lose weight, but I loved to snack. There were times that I limited my food intake too much. I remember days in high school when I would just have a small single-serve bag of pretzels for lunch and that was it. In college I gained around 10 pounds and continued to be unhappy with my weight. I remember a girl in my dorm asking me if I always ate so much cereal. I still danced, so was getting pretty regular exercise. In graduate school I gained 10-20 pounds, and would yo-yo up and down 10 pounds or so. I became really unhappy with my weight and body, but I tended to block it out most of the time. I was wearing a size 14 but I ignored it and tried to fit into my 10s and 12s. I tried Weight Watchers for the first time in 2003, but just cried through the meetings. I felt so ashamed that I couldn’t lose weight on my own. After trying for 6 months or so with no weight loss, I stopped. I started dating my future husband, and started to take yoga instead of dancing. In 2006 my husband proposed (I said yes!). A few months later my mom committed suicide. I was devastated for much of the year. I also didn’t want to pick a date for our wedding because I wanted to be thin. I tried to lose weight unsuccessfully on my own. I was attending a gym regularly and eating mostly healthy foods, but just way too much of them. And I would binge on healthy food and junk food alike. I didn’t keep trigger foods in the apartment, but I would buy them on the street and hide that I was eating them from my friends and family. In 2007 we finally picked a wedding date for 2008. I tried to lose some weight, and even joined a Weight Watchers at work program. I think I lost around 10 pounds, putting me at around 155 for our wedding in 2008. Then in 2009 I joined Jenny Craig, and I was able to lose 10 more pounds, after also weaning off of anti-depressants that I had been on since the late 90s. I got pregnant in late 2009 and had horrible panic attacks and nausea and went back on medication. I couldn’t work for a month and lost 12 pounds. My oldest daughter was born in 2010. Throughout the pregnancy I ate a lot, but I lost a lot of the water and pregnancy weight (I was so swollen!) and was back to 155 when I went back to work, but then I went back up to 158 or so. In 2011 I had enough. I tapered off meds and went back to Weight Watchers. For the first time, I had success with the program and I lost 23 pounds in less than a year! I was at 135 (a healthy weight) for the first time in over 10 years! I became a Lifetime member in the fall of 2012 and then got pregnant with my youngest daughter. Instead of tracking and eating mindfully during my pregnancy, I ate a lot. This time I only gained 28 pounds or so (as opposed to the 40 with my first), and a few weeks after I gave birth I was back down to 142–only 7 pounds away from my goal! But then during my maternity leave and when I went backed to work, I binged like crazy and gained 10 pounds in a little over a month. I went back to weight watchers when my youngest was around 5 months old, and I’ve been struggling with intense cravings and lots of emotional eating. I had panic attacks again and wasn’t able to eat in the morning. I lost some weight, but then gained it back when I was able to eat again and back on anti-depressants. That brings us to the present. I’m around 152 now. It’s 2014 and I want to feel healthy and mindful again. And feel comfortable in my clothes, too! I want to set a good example for my two young daughters. I don’t want to hide food and binge anymore. Anyone out there with a similar experience? Struggling with life balance, emotional issues, and healthy eating? I hope to share my experiences and would love to hear from anyone else struggling or who has had some success.